After all the threats of sanctions against Iran and possible military force by the U.S. and Israel, it appears that Iran may finally be ready to sit down for a talk. At least this was what was rumored though there are now fervent denials from both sides refuting that such an agreement ever took place. 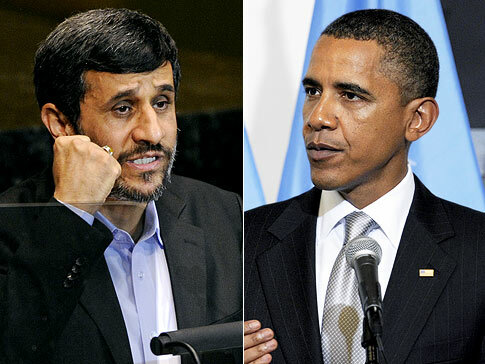 The White House has said that there are no plans set in place for President Obama to sit down with Iranian President Ahmadinejad for talks over the latter’s nuclear program though it did say that it would be open for such a meeting to take place. The Republican GOP is now chiming in and says that if rumors for such talks are true, then Iran’s motives must be seriously questioned. According to South Carolina Republican Lindsey Graham, the talks are nothing but a ploy by the Iranians to buy themselves time to build up their nuclear capability and to drive a wedge between the international coalitions. According to Time Magazine, it was an unidentified senior official from the Obama Administration that reported that the U.S. had a secret meeting with Iran and agreed to a one-on-one negotiation. If the report pans out as true, then this would be the first diplomatic relation between the two nations since the Iran Islamic Revolution in 1979. Ali Akbar Salehi, Iran’s foreign minister, has also denied that such talks will be taking place though he did speculate that a round of talks will be scheduled with members of the United Nations Security Council in November. Prime Minister Benyamin Netanyahu has also weighed in on the matter and said that he was not aware whether the U.S. has agreed to such talks with Iran. Netanyahu also shared the same sentiments with Republican Senator Graham that negotiations are a mere setup by Iran to “drag its feet” to further its nuclear agenda.